Home Article Medic What is Color Blind? Color blindness is a condition when the ability to distinguish certain colors decreases. This makes it difficult for you to see red, green, blue, or a mixture of these colors. 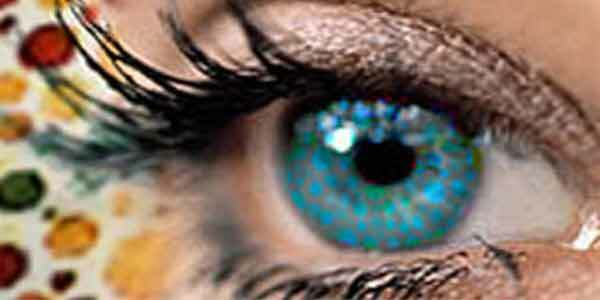 However, cases of color blindness that sufferers cannot see all colors at all are rare cases. Come on, get to know more about color blindness. Someone who has color blindness may not know about the condition. Some people are just aware of their condition when their vision is problematic, confused about distinguishing colors at traffic lights, or confused about interpreting lessons that show various colors.Quoted from the MayoClinic page, people who experience color blindness can see some colors but not all of them. You cannot distinguish between colors, such as red and green, but can easily distinguish between blue and yellow. In addition, some people can only see black, white and gray. However, this case is rare. In addition, the sign that you have color blindness is that you actually have vision problems but do not realize it. You might also see some color gradations on an object, even though people can see thousands of colors from that object. There may be signs or symptoms other than those mentioned above. Well, if you are afraid or worried about certain symptoms that you experience, try to consult with an ophthalmologist. When to check with a doctor? You should immediately contact your doctor when you find it difficult to distinguish certain colors, especially if you are undergoing an eye test. Children also need a complete eye examination, including a color vision test, before going to school. There is no treatment that can overcome color blindness. However, if there are eye pain or other conditions that are the cause, the treatment of the doctor may be able to overcome this vision problem. What Causes Some Color Blind? Derivative abnormalities. Usually this condition is more common in men than in women. Red and green color blindness are common, while blue and yellow color blindness is less common. The severity of color blindness starts from mild, moderate, to severe. Disease. If you have diseases such as diabetes, glaucoma, macular degeneration, Alzheimer's disease, Parkinson's disease, chronic alcohol drinkers, leukemia, and sickle cell anemia, you can experience color blindness. This condition can affect one eye. However, sometimes it can affect both eyes. After the disease is treated, the condition of color blindness can improve. Certain medicines. Some medications can affect vision, such as medications for heart disease, high blood pressure, erectile dysfunction, infections, neurological disorders, and medications for psychological problems. Aging. The ability to see colors diminish with age. How to diagnose color blindness? Doctors can diagnose color blindness by taking a test. From here, you can see how far you are able to distinguish colors. You are asked to see a collection of colored dots and see a pattern, such as letters or numbers. The pattern you see can help the doctor determine whether you have a problem with a certain color. Another type of test is to arrange pieces based on color. If you have color blindness, you cannot arrange pieces correctly. Experts recommend children to do eye examinations at 3-5 years of age. Eye examinations are recommended for children before going to school, between the ages of 3-4 years. How to treat color blindness? Most color blindness cannot be cured. If your condition is caused by the use of certain drugs or certain conditions, then continuing the use of drugs that cause vision problems can make your vision condition improve.You can use colored filters on glasses or colored contact lenses, to help improve contrast perception and see differences in color. However, these things only support your vision, not treat or correct them. Using glasses that block glare can help you see the color difference better. Memorize the order of colored objects. If you can't distinguish the color of the red light well, you can memorize the color order. Label each item. Ask someone with good vision conditions to help you sort, sort and label your clothes. Arrange your clothing in the closet based on the color label.